The 3rd Annual String Fling concert takes place at the Biltmore Cabaret January 28th and 29th. This event is presented by Four on the Floor, a Vancouver-based string quartet. The line-up for this year’s String Fling includes Jim Byrnes, Ryan Guldemond, Dustin Bentall, Parker Bossley, Hannah Epperson, Dominique Fricot, Dan Moxon and Tonye Aganaba. Each artist will be performing three songs with the quartet and Four on the Floor will be playing original pieces and covers in between the sets. Tickets are $20 and available in advance at Red Cat Records, Zulu Records and hipcity.ca. Doors open at 7:00 pm, show begins at 8:00 pm. To learn more about Four On The Floor, check out their video interview with Stuart Derdeyn of The Province. We would like to introduce you to a new business in town, one that all food lovers should make a detour to. It’s called Di Oliva Tasting Bar located at 2632 on East Hastings Street in the East Village. Di Oliva Tasting Bar is brought to you by owner, Lisa Funaro. Lisa brings you an amazing selection of extra virgin olive oils and balsamic vinegars from various parts of the world including Australia, Peru, Chile, Southern France and Italy to name a few. All the olive oils are cold pressed for high quality and freshness. 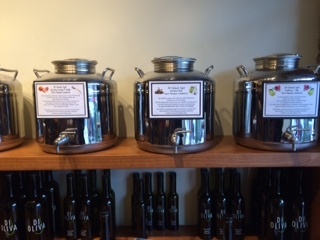 The balsamic vinegars are from Modena, Italy and aged up to 25 years. The olive oils and balsamic vinegars are all organic and infused with 100% natural ingredients meaning no artificial flavours, colours or additives. And yes, tasting is encouraged and made very easy with their set up. You will find very different types of olive oils including the more grassy flavours, as well as the mild tasting ones great for baking or those with very robust peppery flavours. As for the balsamic vinegars, we can only say wow! Some of our favourites include Blueberry Balsamic, Honey Ginger Balsamic and the Espresso Balsamic was hands down our favourite. There are descriptions on the face of each which sets out the flavours/notes of each much like a wine. Generally, oils and vinegars are $12 for a 200 ml bottle, $20 for a 375 ml and $32 for a 750 ml bottle. There are some exceptions for a couple of specialty items like the Toasted Sesame Oil for $15 for 200 ml, $22 for 375 ml and $37 for a 750 ml. This is one of the bottles that made a return trip home with us. Amazing flavor. There are also sample bottles for $5.00 and sets of 4 for $20 which make a perfect gift. Outside of the oils and vinegars, you will also find some delectable sauces like the one that founds its way home with us which was a tomato, olive & ouzo sauce. 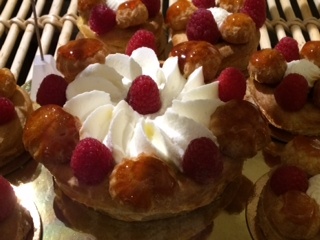 Lisa will soon be offering free tasting events in the evenings for groups of 8 to 10 people at which time all attendees also get 10% off their purchases. Di Oliva provides the appies, you provide the people. They are also working on a Recipe Board and have a host of ideas for how to use the oils and vinegars in cooking, baking and beyond. We encourage to check out this great new addition to East Vancouver. 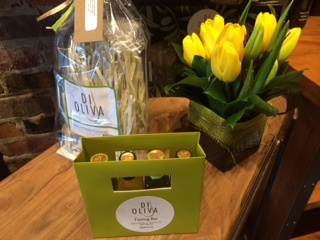 Di Oliva Tasting Bar is open Tuesday to Saturday 10:00 am to 5:00 pm, Sunday from 10:00 am to 4:00 pm and closed Mondays. An innvovative new production opened at the Firehall Arts Centre on January 20th called PostSecret: The Show. This production brings to life one of the most popular blogs in the world PostSecret.com. In November 2004, US artist, Frank Warren, created a viral movement when he printed 3,000 self-addressed postcards and handed them out to people on the streets and asked them to mail their secrets to his home in Washington, DC. The secrets were to be anonymous and the secret could be regret, fear, betrayal, desire, a confession or childhood humiliation. Postsecret.com is now one of the most visited advertisement-free blogs in the world with over 700 million visitors from all over the world. Vancouver’s TJ Dawe along with other Vancouver collaborators Kahlil Ashanti and Justin Sudds bring to life this innovative project that pushes the boundaries of crowd-sourced storytelling, combining intimate live performance with secrets from around the globe. Part of the aim of the production is to show you are not alone. When you hear some of the secrets revealed, guaranteed you will find ones that resonate with you. For me, it was the postcard that read “Don’t Take Away My Sunshine is the saddest song in the world”. When my dog was diagnosed with an aggressive cancer that took him a few years too early, I sang that song to him all the time. He seemed to love it and showered me with wet dog kisses, but it always pulls at my heart strings. Some of the secrets took on a serious tone, such as suicide, but the positive we came away with is how PostSecrets.com saved so many lives literally and figuratively with words as well as actions. PostSecret: The Show is full of raw human emotion in all its honesty, for better or for worse. Guaranteed you will see yourself in the secrets revealed to the world. Some will make you laugh out loud, some with pull at your heart strings, some will truly make you think, but by the end, the show does in it’s own unique way make you see ‘we are all in this together’. Each and every one of us has the ability to reach out and make a connection to someone and make a difference in someone’s life. Everyone will take away a little something different from this show which has been criticized by a few for being much like a TED Talk. This is a fair comment, but we felt that’s what made for a unique and engaging show. We encourage you to see the human in humanity. PostSecret The Show runs till February 7th at the Firehall Arts Centre. Tickets are available online at Firehall Arts Centre. You are invited to Graze Restaurant, 3980 Fraser Street, on Tuesday, February 3rd for a fundraising dinner for the Vancouver Branch of the BC SPCA. The SPCA is a non-profit organization that helps nearly 37,000 injured, abused and homeless animals each year and relies on generous donations from supporters. On February 3rd, dine at Graze Restaurant between 5:00 – 10:00 pm and Graze will donate 20% of the sales from your bill to the Vancouver SPCA. Graze Restaurant is a vegan restaurant that provides locally and organically produced ingredients. 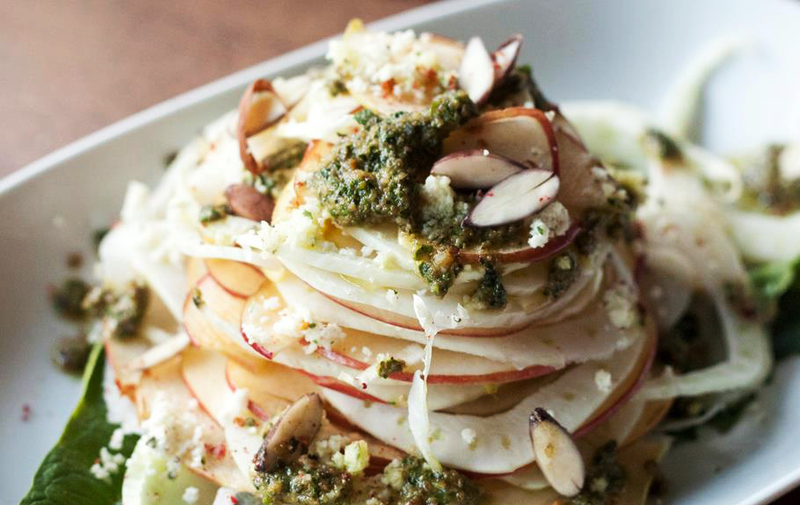 Their food is creative, nutritionally well-balanced and simply delicious. Whether you are a strict vegetarian, a flexitarian who enjoys trying everything or an omnivore who simply wants a familiar and satiating meal, Graze was something for you. One of their delicious entrees has made it onto Erin Ireland’s Must Try Five List. That being their now rather famous Vegan Perogies with crispy shallots served with an intensely smoked coconut cheddar sauce, sour coconut cream and spicy tomato jam. As Erin would say, it’s To Die For. You can make your reservation by contacting Graze Restaurant at T: 604-620-8822. Come out and support this charity that does so much for animal welfare within our community. Ryan Mackey owner of local tour company, Vancouver Brewery Tours, is hosting a unique tour for Valentine’s Day “For The Love of Craft”. Vancouver Brewery Tours will take you on a tour of some great East Vancouver spots. In no particular order, they will take you to the newest craft brewery in town Strange Fellows Brewing located at 1345 Clark Drive with a great space, then to Storm Brewing. 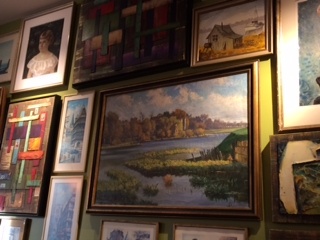 Owner and head brewmaster, James Walton, has been on the craft brewery scene since 1995, then a delectable detour to one of our favourite places for chocolate, the Schokolade Chocolate Café in the East Village. They have a dark chocolate bar with caramel, lavender and sea salt that is a must try should you get the chance. Then off to another local favourite Odd Society Spirits which are the makers of many spirits including East Van Vodka, Crème de Cassis and Wallflower Gin. Odd Society Spirits makes some creative cocktails in their Tasting Lounge including a fennel sour that caught our eye. 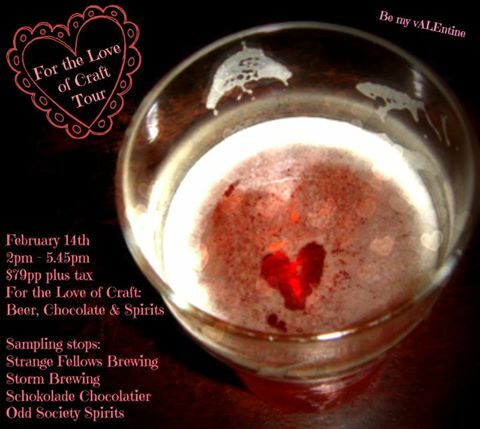 The For The Love Of Craft runs Saturday, February 14th from 2:00 pm to 5:45 pm. Tickets are available from Vancouver Brewery Tours for $79 per person. Beer, chocolates and spirits really how can one go wrong? The Road Forward is a multi-media musical inspired by the ground breaking movement of the Native Brother and Sisterhood of British Columbia. 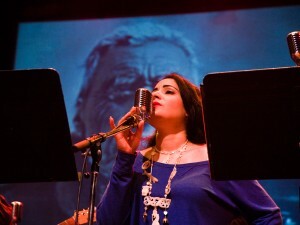 This performance is dedicated to the countless First Nations women who have disappeared on B.C.’s Highway of Tears this blues/rock musical integrates traditional and contemporary art forms, historical media archives and interactive live performance. This event is brought to you by PuSh International Performing Arts Festival, Touchstone Theatre and Red Diva Projects. The Road Forward will be performed at the York Theatre, 639 Commercial Drive, on February 5 – 7. Tickets start at $19 and are available online via The Cultch.